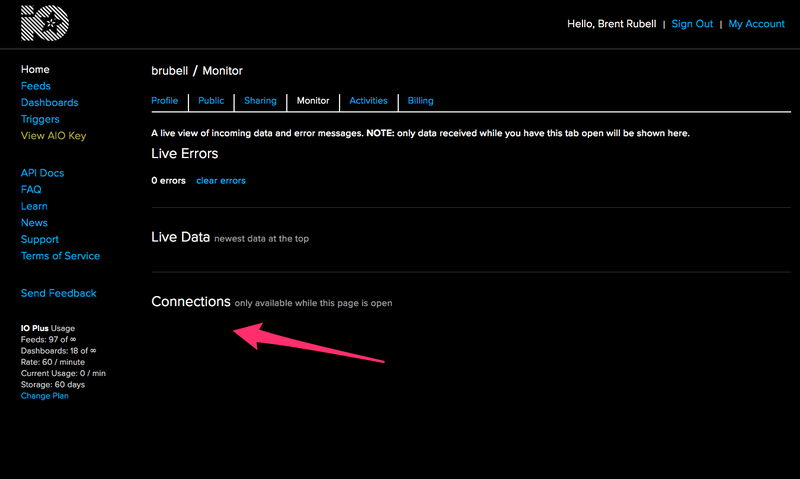 Adafruit customer service forums • View topic - Support for MKR WiFi 1010 - Halfway there! Support for MKR WiFi 1010 - Halfway there! I've been using MKR 1000s for .io projects with success. Adafruit.io has been very easy to use, and it's been great. However, I recently purchased a couple MKR Wifi 1010s recently, which I'm not having much luck with. It would appear that there is not yet written support for the new boards. Ultimately, I wish that Arduino would maintain consistency and backwards compatibility a little better, but since I'm stuck with unsupported hardware, can someone help me understand how to adapt the existing adafruit.io libraries to support my board? Last edited by chrisbuck on Tue Sep 11, 2018 9:33 pm, edited 1 time in total. While the Adafruit IO Arduino library doesn't officially support the MKR WiFi 1010, but it does support the Feather Huzzah ESP32 (same WiFi module exists on the MKR WiFi 1010). You might want to first try the Adafruit MQTT Library (https://github.com/adafruit/Adafruit_MQTT_Library) with your board, it's compatible with the Arduino client interface. There are a number of locations where the board type definition is checked. I think this must be set by the IDE. I concluded that the board name for the MKR WIFI 1010 is, as expected, ARDUINO_SAMD_MKRWIFI1010 from the boards.h file. I duplicated the 'ArduinoIO_MKR1000.cpp & .h files, and renamed them appropriately for the MKRWIFI1010. - Find & replace in the .cpp to have references to MKRWIFI1010. Add an evaluation for MKRWIFI1010 in Adafruit_MQTT.cpp so it includes the dtostrf function. There's probably a couple other smaller tweaks that I'm not thinking of. At this point, I can't figure out how to troubleshoot further so any tips in that direction would be helpful. Last edited by chrisbuck on Fri Sep 14, 2018 8:48 am, edited 3 times in total. I should also mention that I can successfully use the examples from the WiFiNINA library that is supposed to be used with the 1010 in lieu of WiFi101. Re: Support for MKR WiFi 1010 - Halfway there! Thanks for mentioning this, I'm following this thread for future (possible) updates to AIOArduino. I did check there, but there's nothing that shows under connections, nor under errors. I sort of assumed it was because the connection, if there was one, was only momentary. I did notice in Adafruit_MQTT.h there's a #define for MQTT_DEBUG that instructs that you should be able to uncomment to print debugging info, but when I did that it made the board vanish from my COM port list after loading the sketch. I needed to put the board in bootloader mode and load blink to get it back again. I also found this in Adafruit_MQTT.cpp but I'm not sure where/how to call connectErrorString() from. Last edited by chrisbuck on Fri Sep 14, 2018 8:47 am, edited 1 time in total. I was able to print the results of AdafruitIO::mqttStatus, which returned '2', or "client ID rejected". I can't figure that out though. Adafruit_MQTT.cpp includes calls to "DEBUG_PRINTLN()" but I can't figure out how to get those to print in the serial monitor. Any direction there? Seems like it's the #define for MQTT_DEBUG but that makes my board disconnect from my com port. I never did figure this out. If anyone has any last suggestions or tips on continuing my debug efforts I'd appreciate them, otherwise I'll use the MKR1010 for something else and go back to the MKR1000. In case someone else runs into this issue, it turned out to be that the MKR1010 currently ships without a root certificate required for the SSL connection to Adafruit, and there's not yet a fw update tool ready to load one. Use the MKR1000 instead. chrisbuck wrote: In case someone else runs into this issue, it turned out to be that the MKR1010 currently ships without a root certificate required for the SSL connection to Adafruit, and there's not yet a fw update tool ready to load one. Use the MKR1000 instead. This is resolved-ish with a FW update available for the MKRwifi1010 to 1.1.0 and WiFiNINA to 1.2. You'll need to add support to the adafruit library by modifying AdafruitIO_WiFi.h to call out the MKRWifi and making MKRWifi versions of the device config files (in AdafruitIO_Arduino/src/wifi) to include WifiNINA instead of WiFi101.